The English Cities Fund – a partnership between three of the UK’s leading regeneration and investment organisations – has announced that it will double its investment in cities and towns in England to £200m. The fund is a development company set up by Homes England, Legal & General and Muse Developments. With initial investment of £100m, the fund is on track to deliver five schemes in England with a total value of £1.6 billion. The fund will now double in size to £200m to target complex, large-scale and long-term regeneration projects which unlock the potential of English cities and towns. 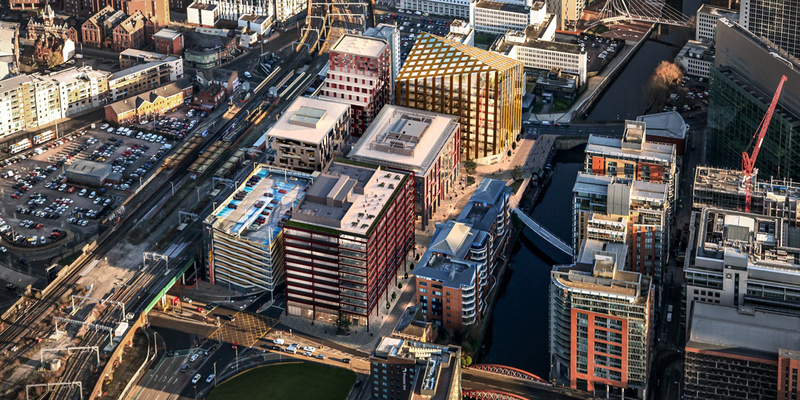 It will seek new partnerships with leading councils, regional authorities and other public sector organisations to transform major sites, deliver mixed-use, residential-led schemes, and create inspiring new places. The fund was set up in 2001 to bring together the best of the public and private sector, combining the expertise and ambition of Homes England, the Government’s dedicated land and homes agency; Legal & General’s deep capabilities in delivering long-term, joined-up investment across UK property and infrastructure; and the nationwide urban regeneration expertise of Muse Developments. With a mission to take on challenging development sites and encourage private and institutional investment in cities, the English Cities Fund is behind some of the UK’s most successful regeneration projects in Liverpool, London, Plymouth, Salford and Wakefield. To date, the fund has delivered 850,000 sq ft of office, retail and leisure space, generating some 5,000 jobs and opening up new urban spaces to the public. It has built 1,300 homes in characterful new neighbourhoods, with a further 2,210 homes still in the pipeline, alongside 820,000 sq ft of new commercial development. The English Cities Fund has a track record of taking challenging, often stalled sites and creating dynamic urban communities where blue-chip companies, ambitious occupiers, entrepreneurs, homeowners and renters locate side by side. Its schemes have secured over £800m further third-party investment, including from property companies, institutional investors and the public sector. “Our cities and towns are the engines of our economy and our cultural and social lives. We must continue to reinvent them in bold and imaginative ways. “We want to partner with ambitious local authorities and other public bodies who want to attract investment, build homes and support enterprise. Together we can create exceptional places. “We’re a unique partnership. In bringing together Homes England, Legal & General and Muse, we are demonstrating the combined potential of public and private sector regeneration expertise. We’ve shown over 17 years that it’s possible to commit for the long-term while still delivering at pace. It’s an approach that’s allowed us to see potential where others may not and to transform even the most complex sites. The expanded fund will focus principally on projects which have a gross development value of over £100m. The fund typically partners with councils and other public sector organisations who are landholders, promoters or stakeholders in key regeneration areas. As well as working with five local authorities, the fund has delivered schemes in partnership with Network Rail, the East Coast Mainline, the Greater London Authority and Homes England.